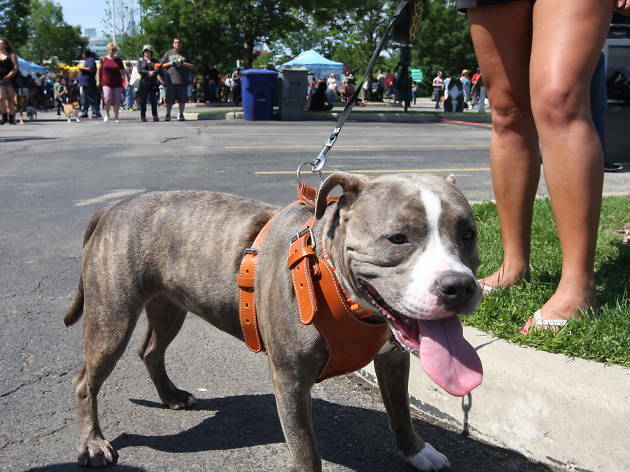 It's hard to really break it down, but Woofstock, organized by PAWS Chicago, was about one part cute and two parts magical. 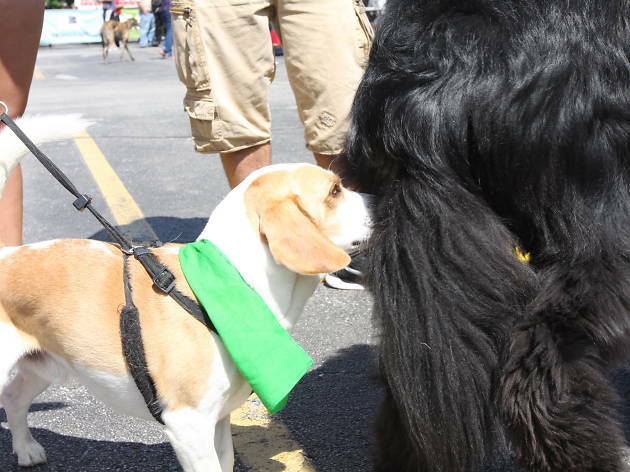 The Road to the Puppy Bowl brought scores of Chicago dogs together to wag their tongues and tails in the company of their fellow furry companions at Soldier Field. 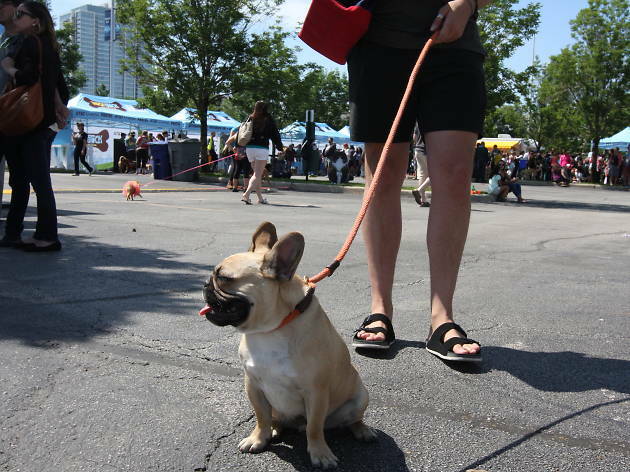 For Chicagoans though, it was more. 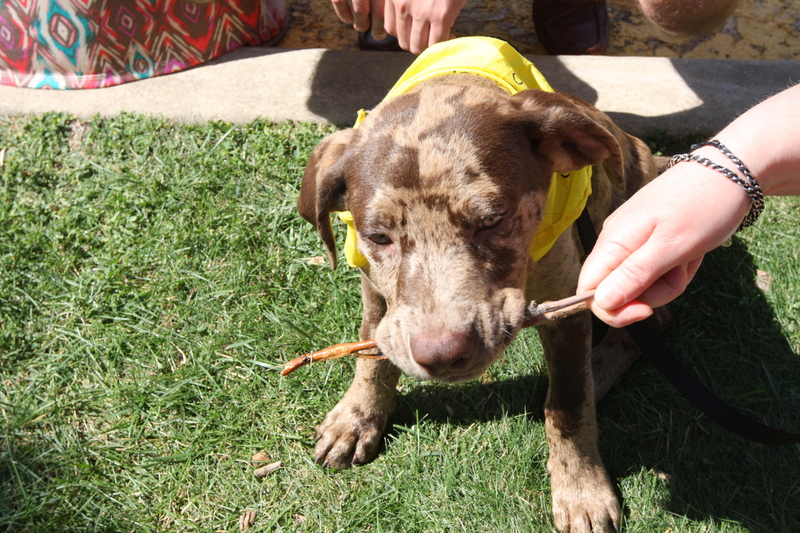 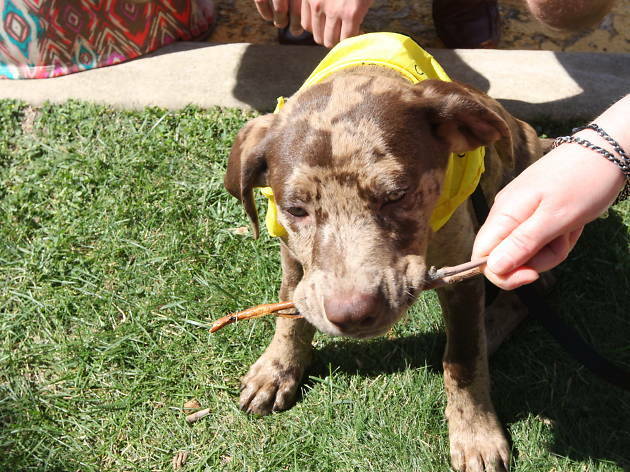 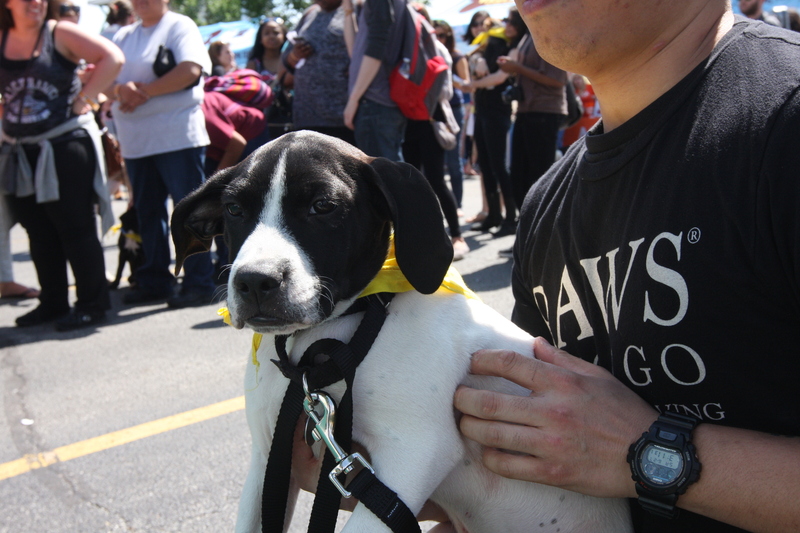 The dog fest was a time for us to give a home to loving pups in desperate need of a family and companionship. 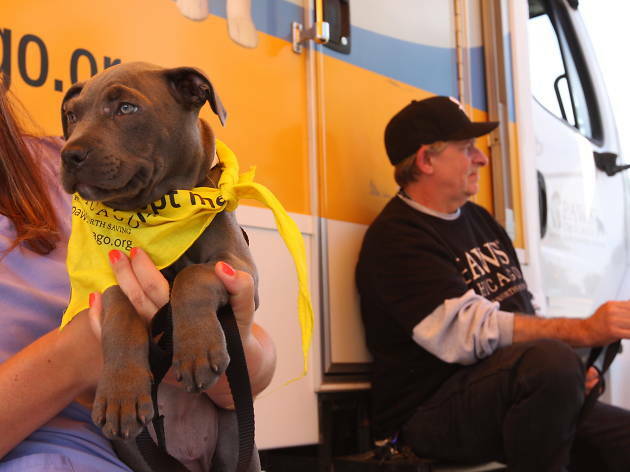 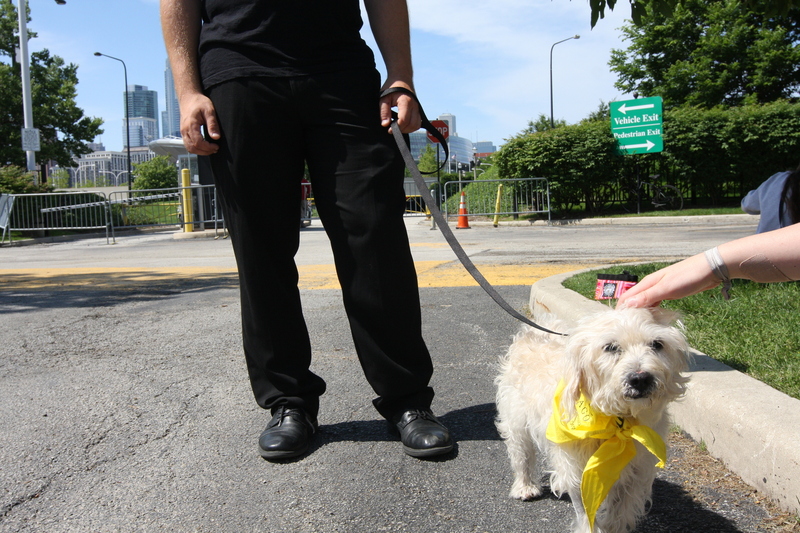 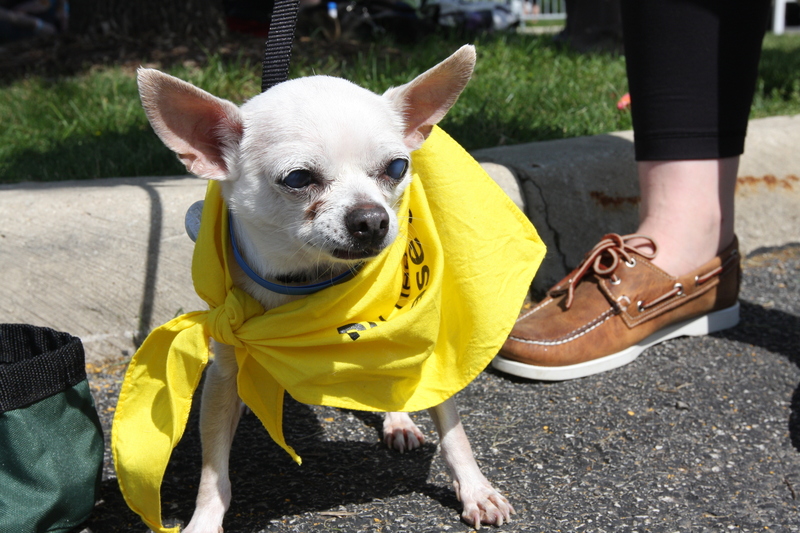 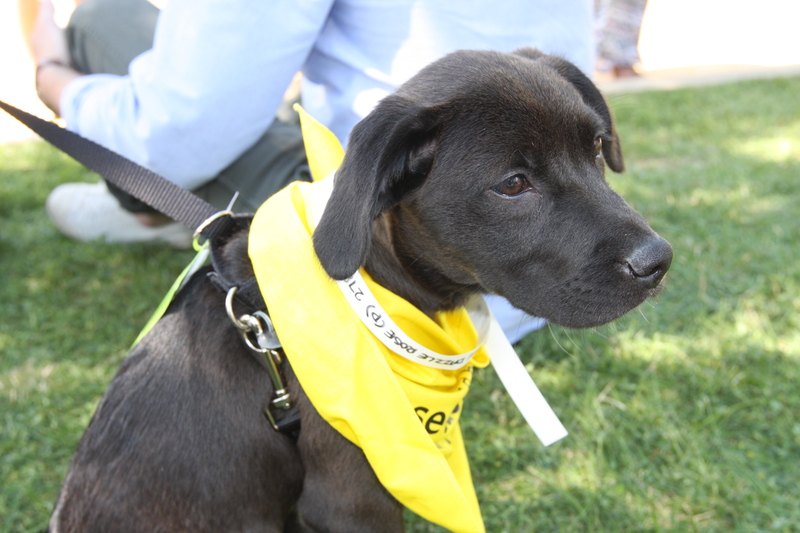 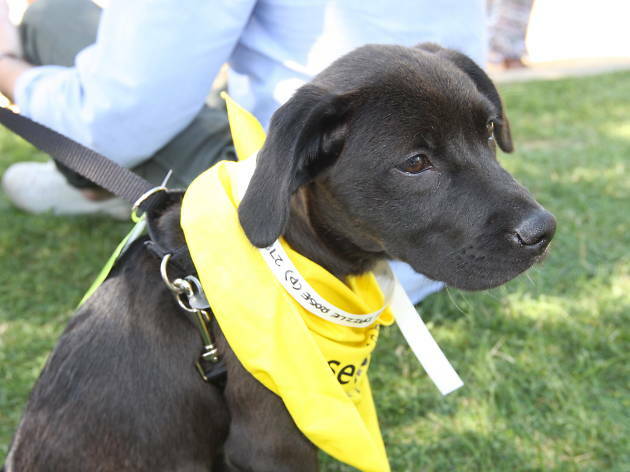 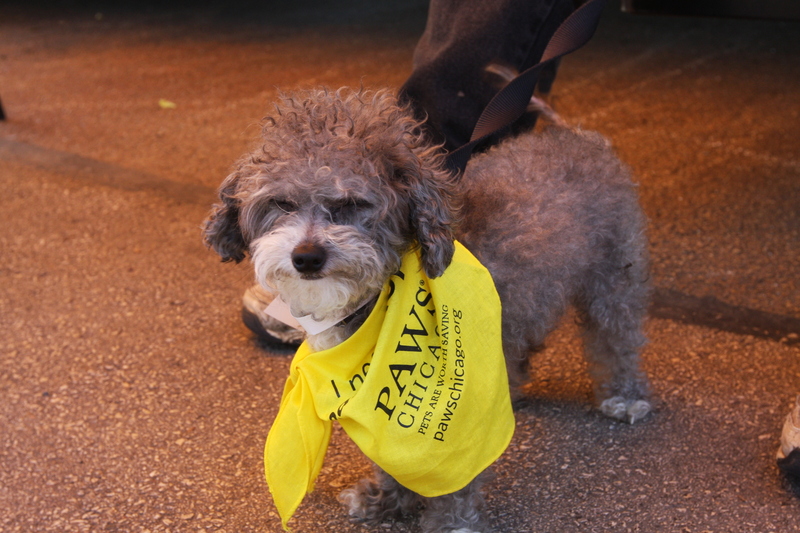 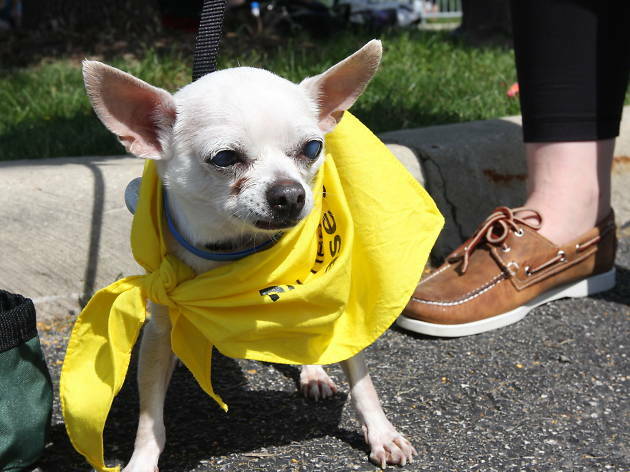 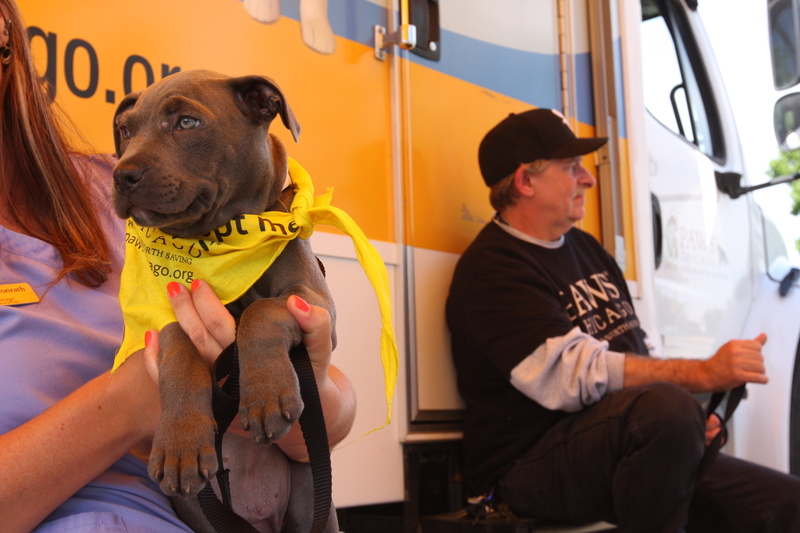 Dogs with yellow bandanas roamed Soldier Field's South Lot in search of new companions that would bring them home. 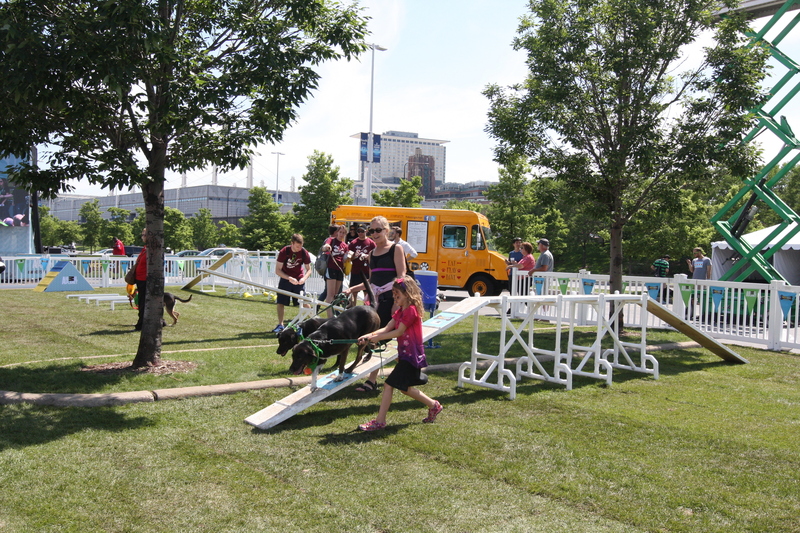 Several actually succeeded. 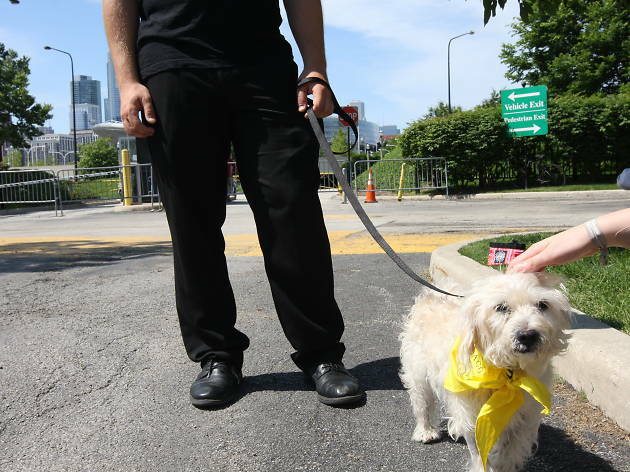 Some pups were too small to walk freely on their own, but were nonetheless scooped up by a Chicagoan seeking to open a new chapter in their life with a young animal companion. 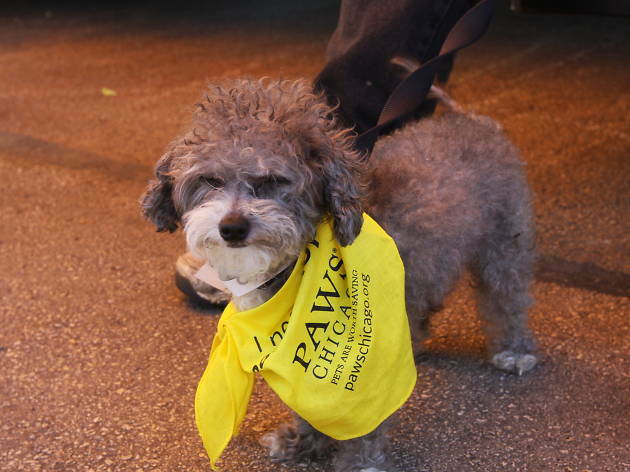 Others, inevitably, were left behind though, and will live in the care of PAWS Chicago until they find a kind, human soul to take them in. 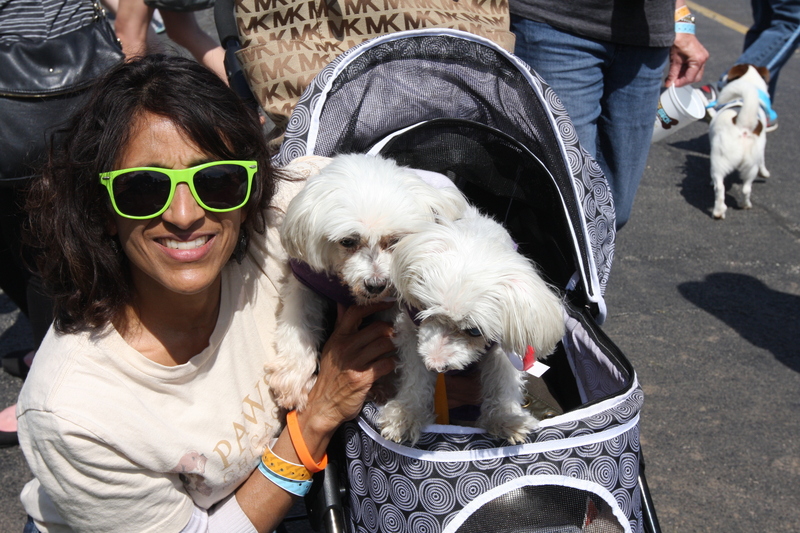 Probably the most striking thing about Woofstock wasn't the incredible cuteness of the gathering (photo evidence below). 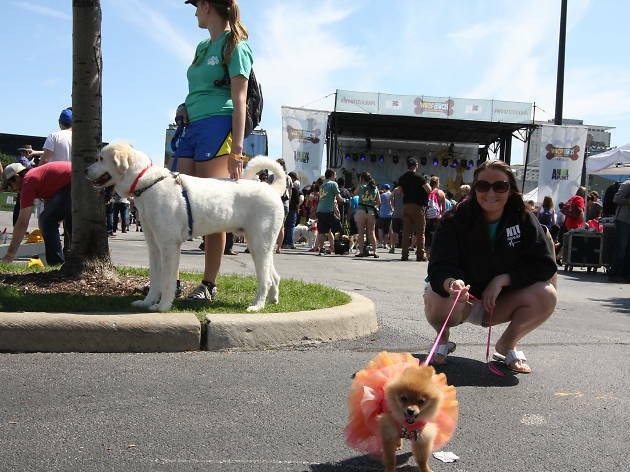 Rather, it was the lack of barking, the absence of puppy scuffles and the absolute scarcity of...um...puppy byproduct at an event that could have been marred by a few bad apples in the crowd. 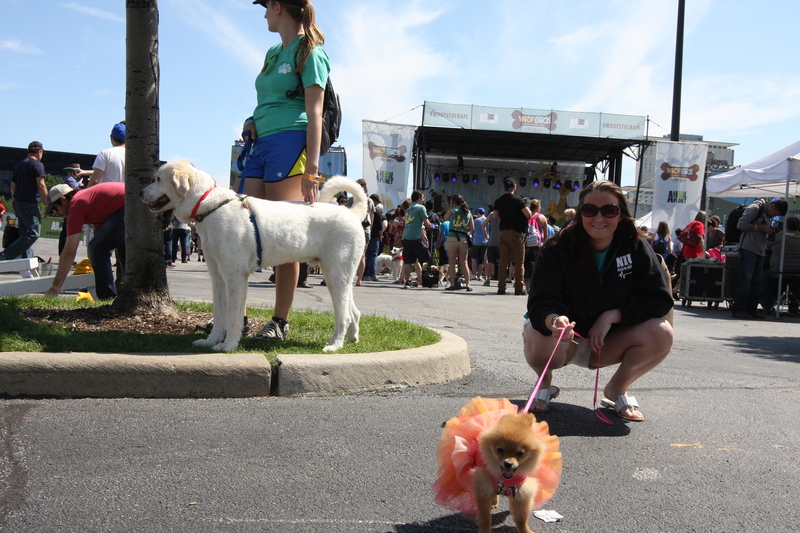 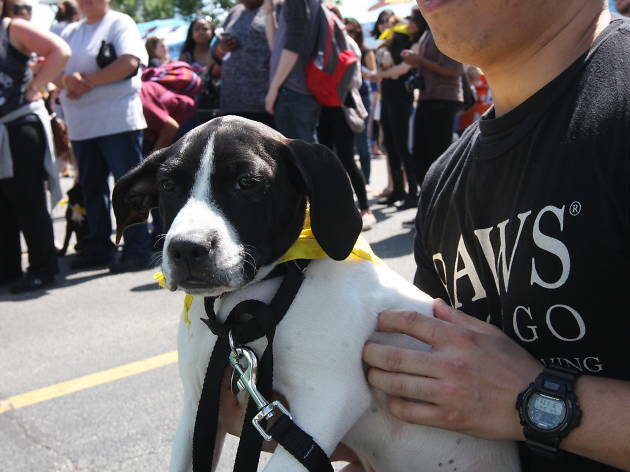 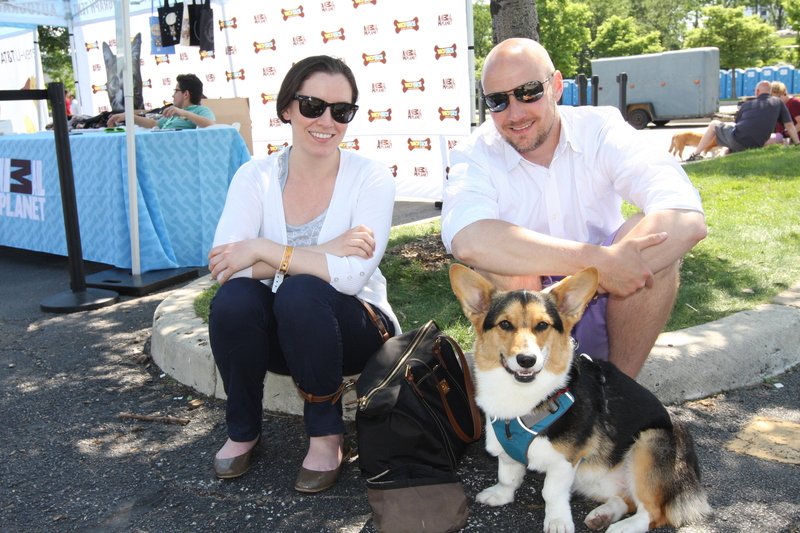 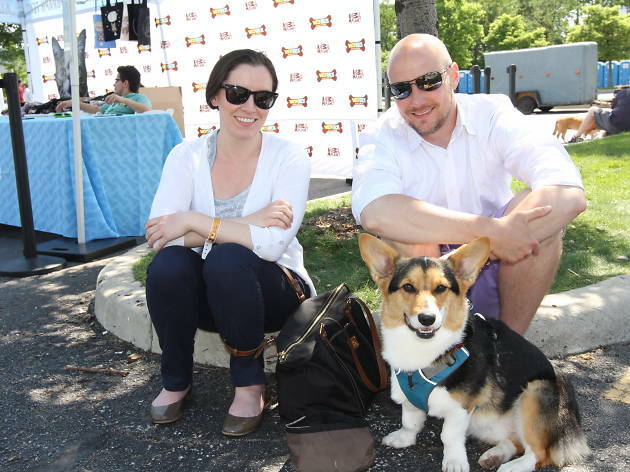 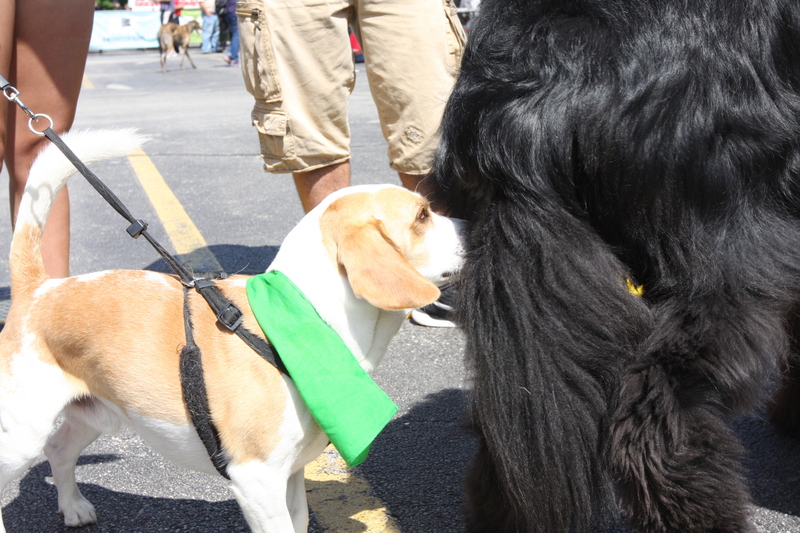 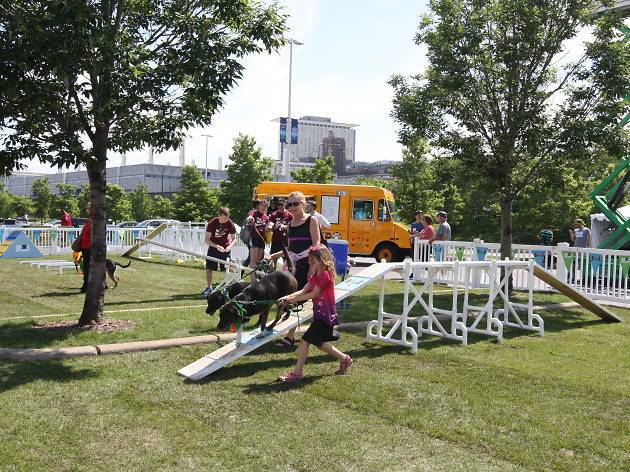 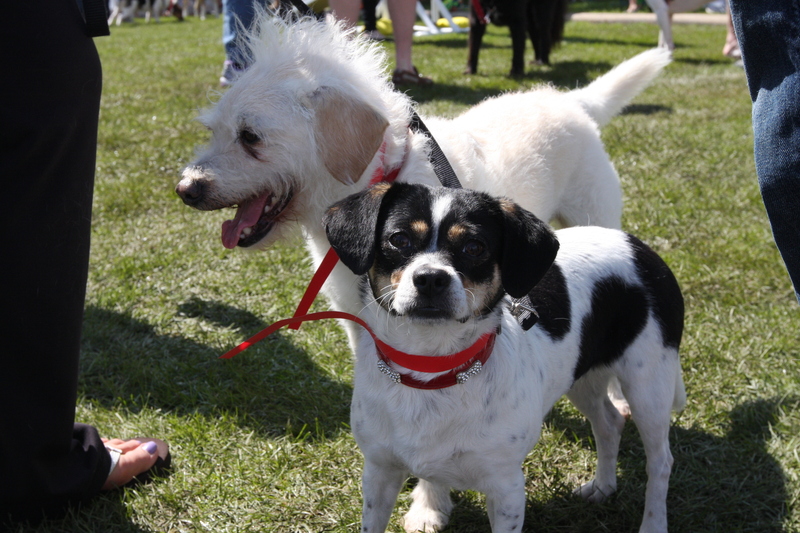 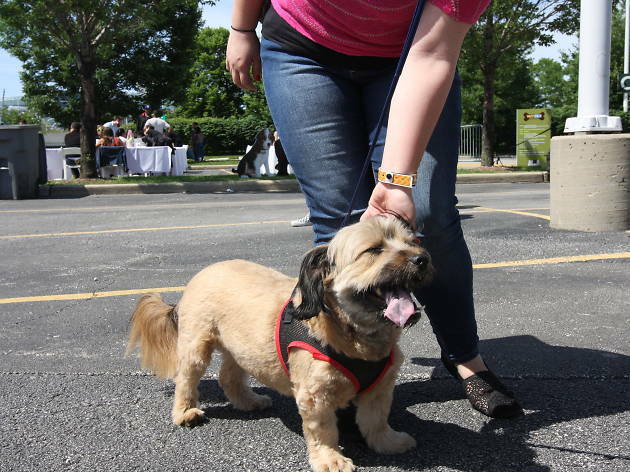 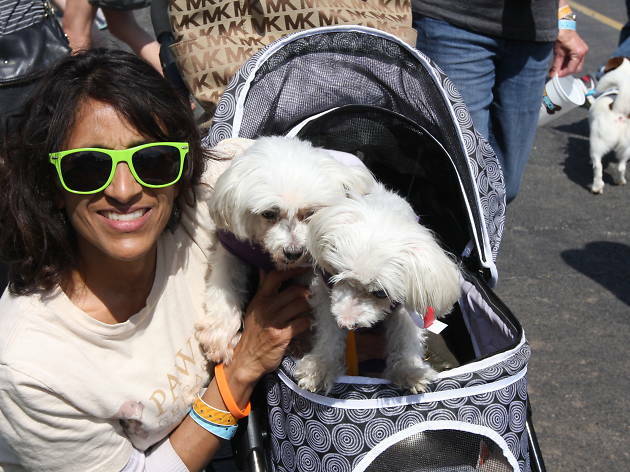 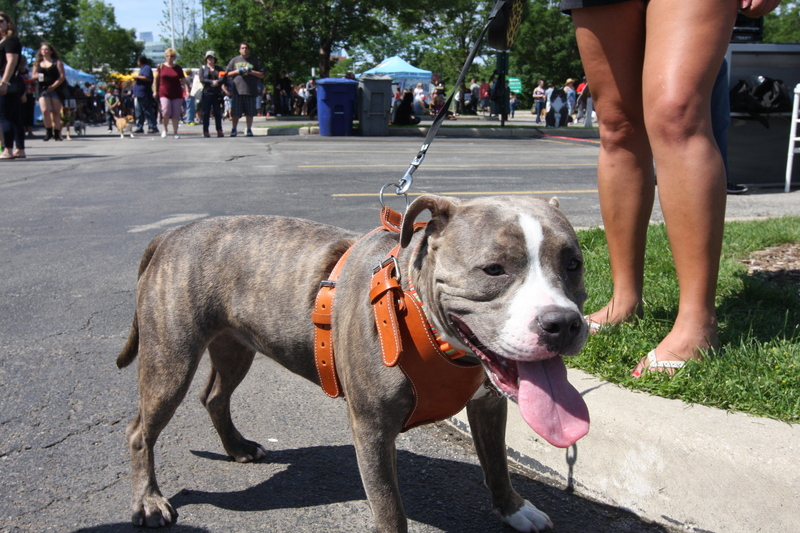 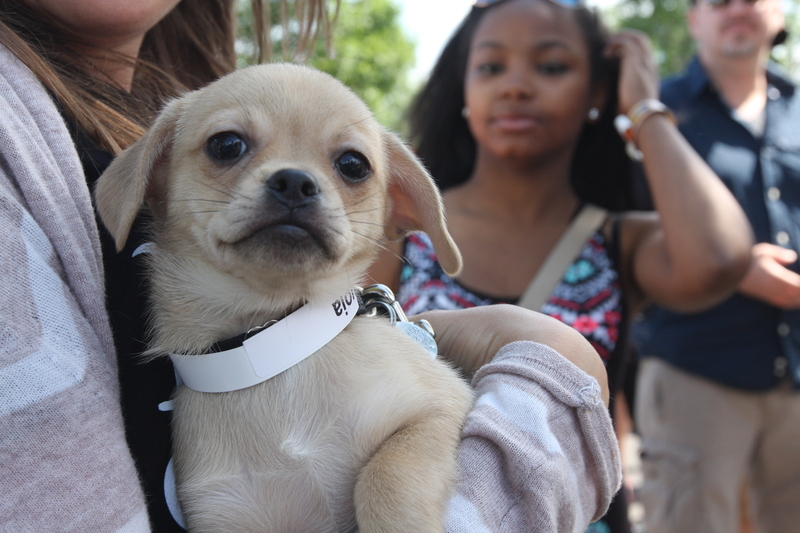 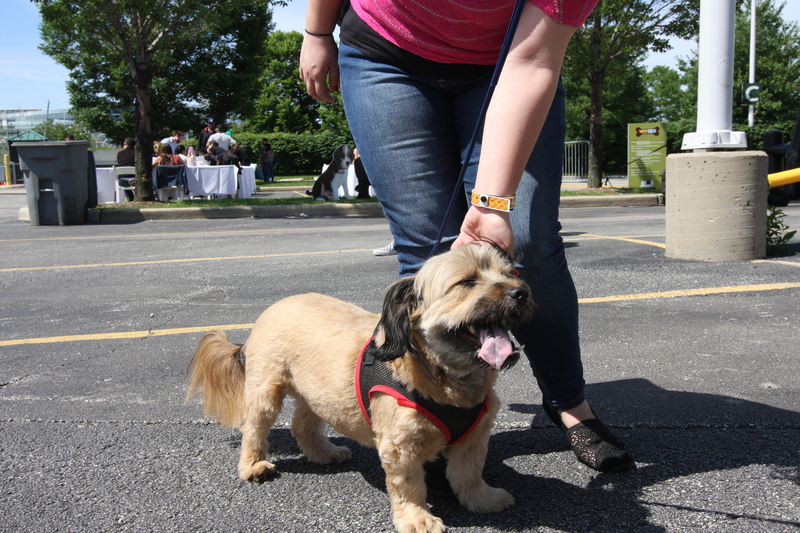 In all, Woofstock was a testament to how courteous and well-behaved Chicago's dogs and dog owners really are. 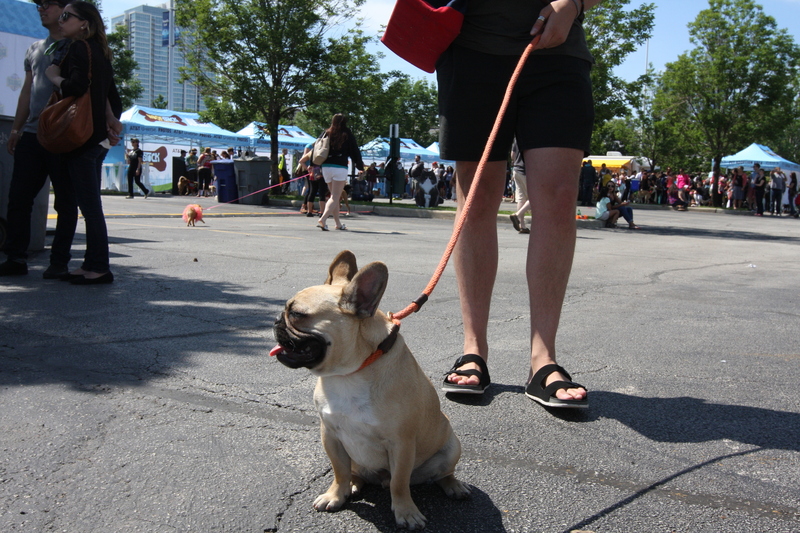 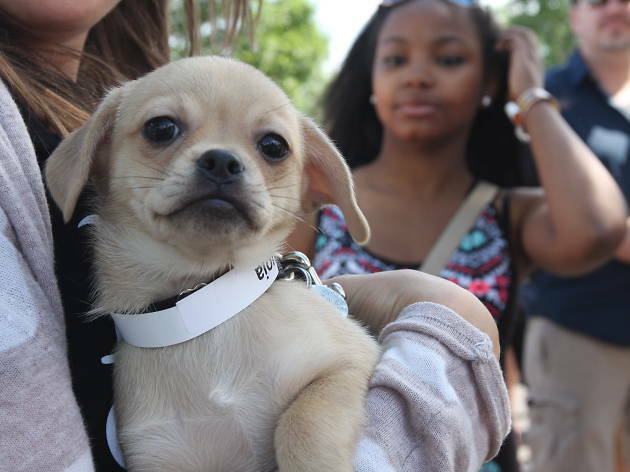 Woofstock at Soldier Field brought together Chicago dogs and dog owners, as well as pups in need of forever homes.